It has been said that nature does not know extinction– that once you’ve existed, all parts of you, whether they’ve dispersed or remained together, will always be. Thick dust may hide the relics of human history, but if cannot erase the memory. 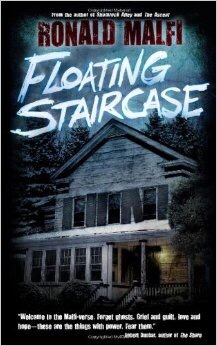 The author had all my favourite elements, haunted houses, the obsessive hunt for truth, and many plot twists. Always making you think. A theme I was caught up on was –how far is too far to go to find the truth–. The one scene I keep with me is the scene with the elderly dying woman. It was well written, I’ve dealt with many dying patients and it was true to life. Her resolve resonated with me. I could feel her character jump from the page. I couldn’t have predicted the ending but I had hope.